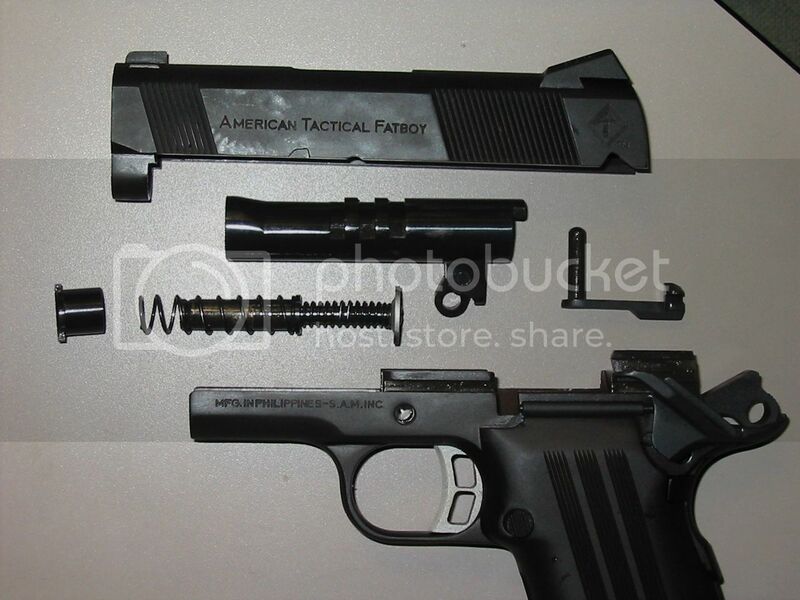 It isn’t often appropriate to open a review of one manufacturer’s product by discussing a competitor’s product but, in order to fully appreciate the comparative uniqueness of the ATI Fatboy double stack 1911 pistol, it may help to put it in perspective by discussing its most direct antecedent in the marketplace: the Para-Ordnance P12.45. Bear with us, then, as we embark on a brief (we hope) look at 1911 history. Compared to the history of the M1911 pistol platform overall, the history of the double stack 1911 is short. The M1911 was adopted by the United States Ordnance Department in early 1911. It was not until 77 years later, in 1988, that a Canadian company introduced a double stack 1911 frame with a capacity of 14 rounds. When first introduced, the double stack frames were sold only as frame kits, for use by gunsmiths to convert existing single stack pistols to larger capacity. Two years later, in 1990, Para-Ordnance progressed to selling complete, double stack pistols. 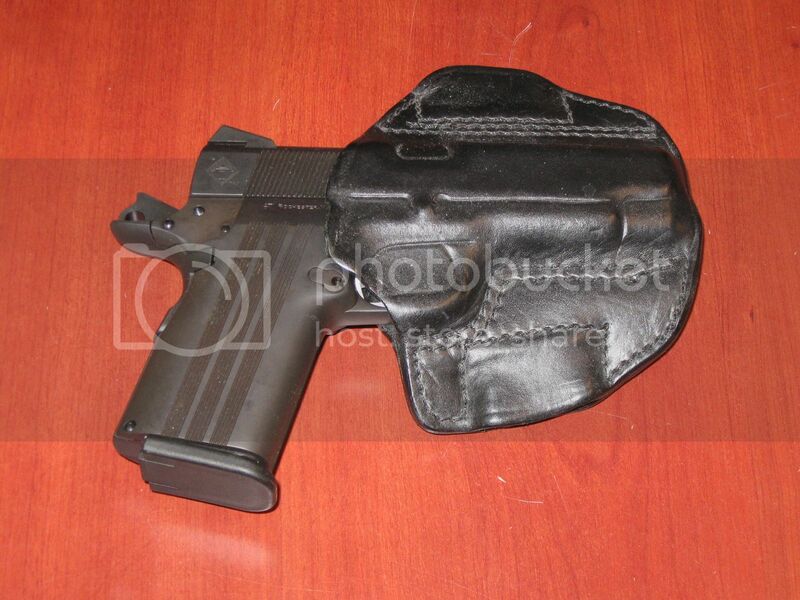 The original offering was the full-size, 14-round capacity P14.45. 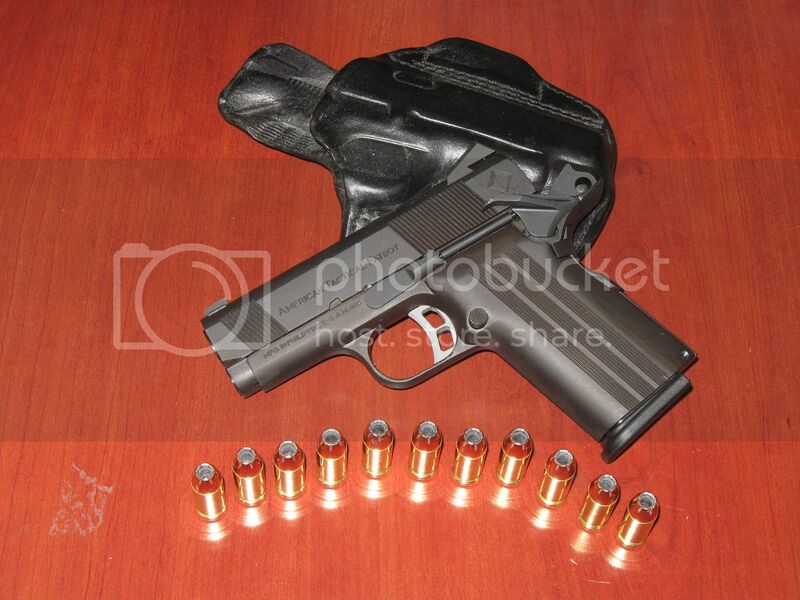 Para-Ordnance followed the P14.45 with a compact pistol designated the P12.45 in 1992. The P12.45 was the same size as a Colt Officers ACP, with a 3-1/2” barrel. Enter Shooters Arms Manufacturing (S.A.M. ), of Quezon City, Philippines. Shooters Arms Manufacturing is one of the older firearms manufacturing companies in the Philippines. I know they have been offering 1911 pistols at least as far back as the year 2000, when I first became aware of them and of the fact that they were one of the very few manufacturers of 1911 clones to offer a true Commander-size pistol with a 4-1/4” barrel. The company itself dates to 1963, when it began as a firearms retailer and importer under the name E. De Leon Gun Store. The retail operation was renamed Shooters Guns & Ammo Corporation (SGAC) in 1980. 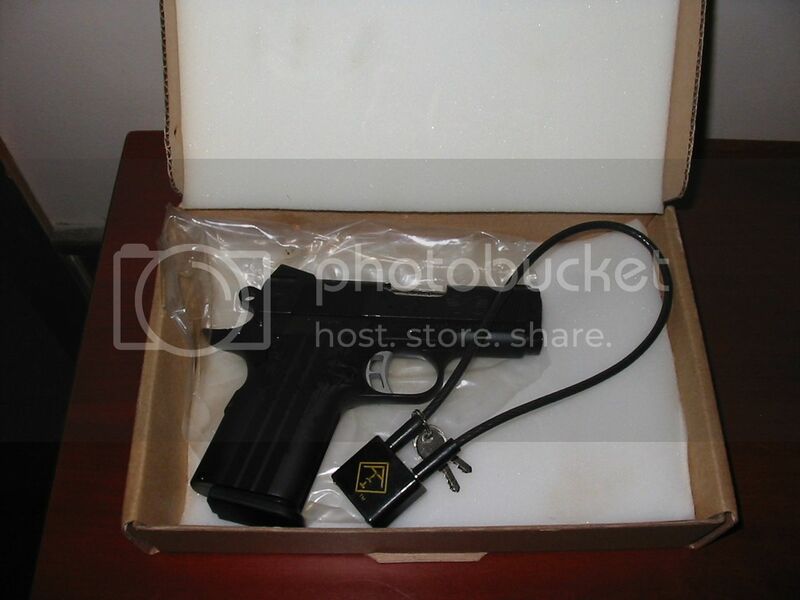 In 1992 a related company, Shooters Arms Manufacturing (S.A.M. ), was created to begin the manufacture of firearms in the Philippines. S.A.M. sold its products locally until 1998, when they began exporting to the United States and to other countries. Continuing to grow, S.A.M. moved production to a new facility in Mandaue City in 2008, along with modernizing production through the adoption of CNC machining. Throughout its history, S.A.M. has remained a family-owned business and has remained dedicated to its goal of producing affordable firearms of high quality. Although S.A.M. firearms have been available in the United States for more than a decade, they are not well known because their importers failed to market the brand aggressively and effectively. Recently, importation and distribution has been taken over by American Tactical Imports, of Rochester, New York. ATI has been promoting Shooters Arms firearms more aggressively than we have seen previously. As part of ATI’s efforts to make the market aware of S.A.M. firearms, they recently arranged to have two of S.A.M.’s current models sent to M1911.ORG for evaluation. One of these proved to be a complete surprise, because it is a double stack 1911-based pistol with a 3.2” barrel – essentially the same package as the discontinued Para-Ordnance P12.45 and Llama Mini-Max II. Since I have been a fan of the P12.45 pistol for a long time, it was only natural that I jumped into working with the new pistol (which ATI calls the Fatboy) as soon as I could get back in the saddle following surgery that took place in late December. The ATI (S.A.M.) Fatboy is a unique firearm that fills a potentially significant niche in the 1911 self-defense handgun marketplace. 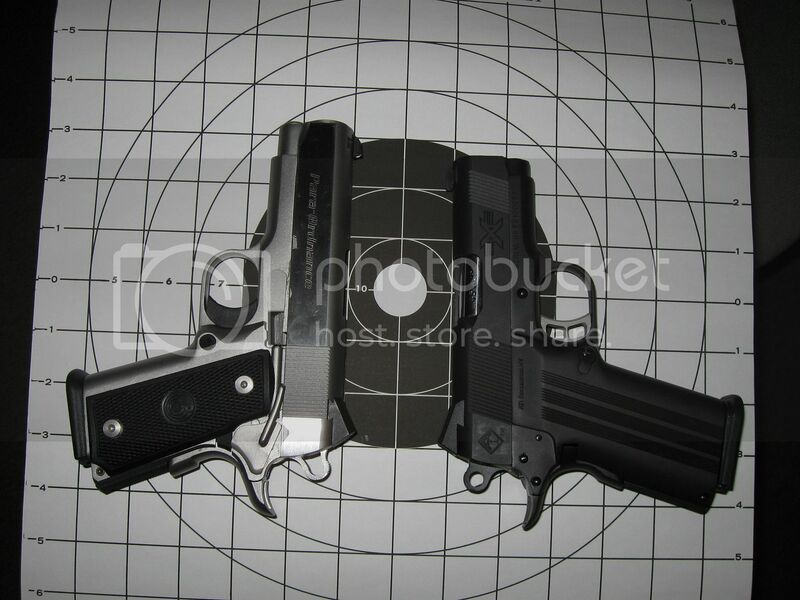 Since Para-Ordnance discontinued both the P12.45 and the P13.45, the only compact, double stack 1911 available has been the Para Warthog (originally designated the P10.45). The problem with the Warthog/P10.45 is that the grip frame is so short that even small hands can only find room for two fingers of the strong hand; the pinky invariably hangs below the grip frame, and this is not conducive to accuracy when firing .45 Automatic ammunition through a small handgun with an alloy frame. On the other hand, although many people can and do carry full-size (5-inch) 1911s concealed, and even IWB (inside waistband), there is no question that having a 5-inch 1911 stuck in your waistband or hung off your belt demands some accommodations when sitting or bending. There has been a lack of a compact, double stack 1911 that provides a short barrel and slide while still offering a large enough grip frame to allow shooters to put all three (non-trigger) fingers on the grip frame for better control and accuracy. It is this gap in the spectrum that the Fatboy is aimed at, and it seems to have scored a direct hit. 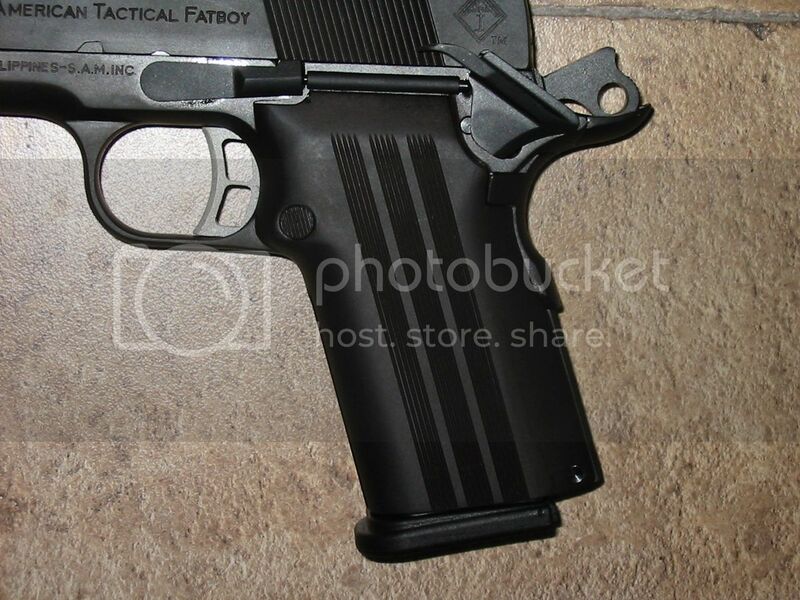 With a 3.2-inch barrel, the Fatboy is shorter than a Colt Officers ACP but longer than a Colt Defender. With the longer grip frame sized to accept magazines equivalent to the Para P13.45, the overall form factor of the Fatboy comes very close to being a double stack version of the pistol that Colt once offered (in single stack, of course) as the “Tank Officers” model. This was essentially the short Officers ACP slide and barrel mounted on a full-size or Commander frame. In addition to offering a grip frame large enough for real people to hold onto, the Fatboy offers a steel receiver. This is a mixed blessing, since the weight of an all-steel 1911 with a load of 12 rounds of .45 Automatic ammunition is not insignificant. While some people simply will not or cannot even consider hauling around that much weight on a daily basis, my own experience carrying an all-steel P12.45 has been that a quality holster and belt make it very possible. After a few days, the weight becomes a non-issue. Where the weight is significant is when actually shooting, rather than carrying. The extra weight of an all-steel pistol helps soak up recoil and makes the pistol easier to shoot and, especially, easier to get back on target for follow-up shots. In a very interesting departure from other 1911-style pistols, the Fatboy does not use removable grip panels (stocks). The grip pattern, consisting of three vertical rows of fine serrations, is an integral part of the grip frame. 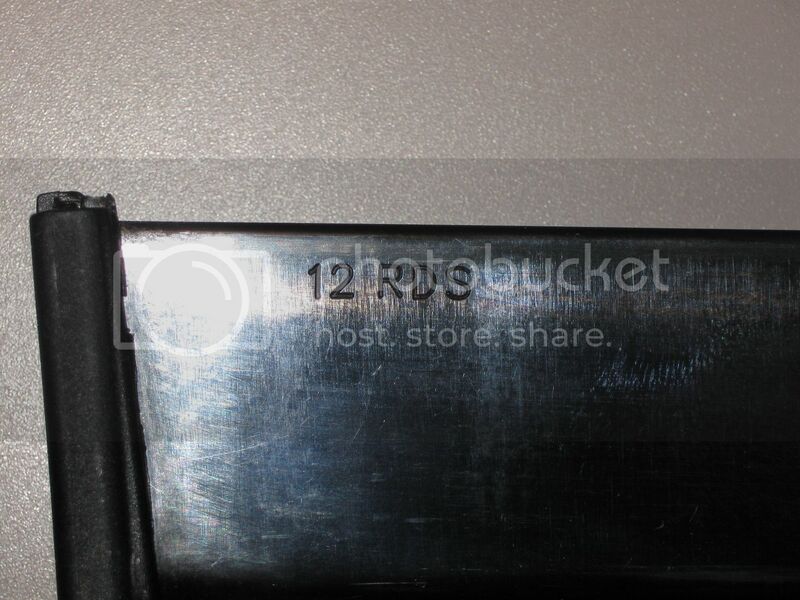 The front strap is also vertically serrated (not checkered). 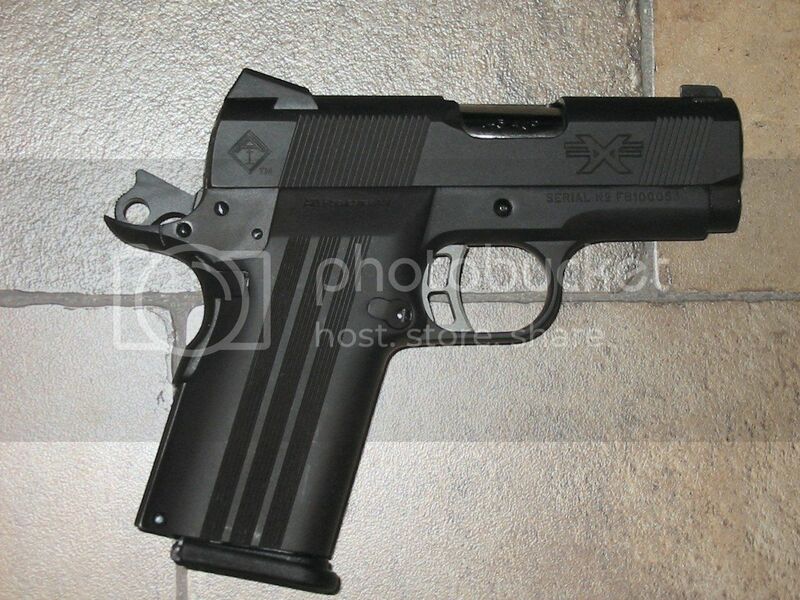 The result is a grip that is essentially the same thickness as a single stack 1911 equipped with standard grip panels. With the somewhat squared off, blocky shape of the grip frame, the integral serrations provide a comfortable grip that is more than adequate to allow the shooter to hold onto the pistol in recoil. Single stack 1911s, with their smoothly rounded front straps, have a tendency to twist or rotate in the shooter’s hand, which is why some shooters favor checkering for the front strap. In our opinion, no aftermarket treatment of any kind is needed on the Fatboy. The ATI Fatboy is, consistent with the manufacturer’s philosophy of offering affordable firearms of good quality, a no-frills pistol. This is evident right from the outset; the Fatboy did not arrive in a blow-molded plastic case, it came in a cardboard box with a cable lock and one magazine. There are no accessories and, indeed, none are needed. Some pistols come with a cleaning brush but most buyers already have one, or are prepared to buy a basic cleaning kit anyway. There are no screws—slotted or hex-head—to be serviced on the Fatboy, so there are no free Allen wrenches provided. Fire control parts for the Fatboy are, for the most part, standard 1911 fare. Due to the double stack configuration, though, there are a few proprietary parts. 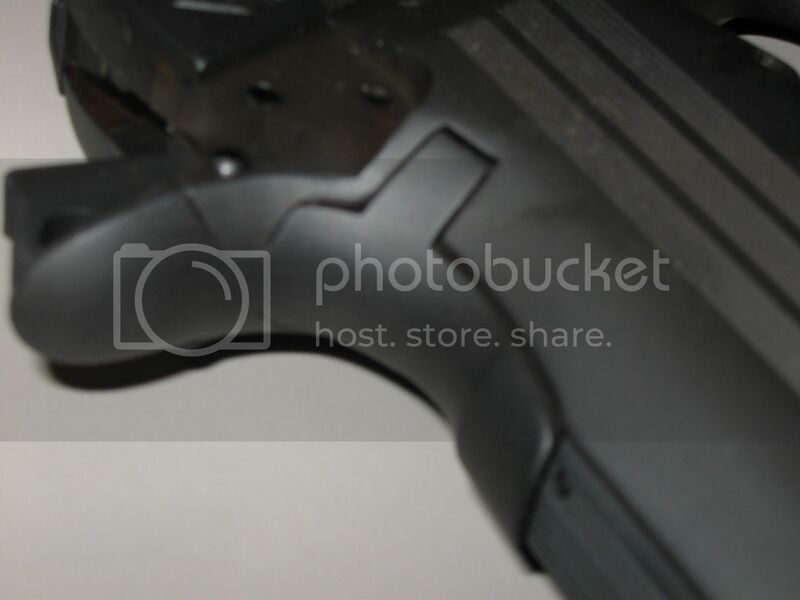 First, naturally, the trigger has to have a wide enough stirrup or bow to fit around the double stack magazine. Because the grip portion of the frame is fatter than a single stack 1911, the magazine catch is longer. 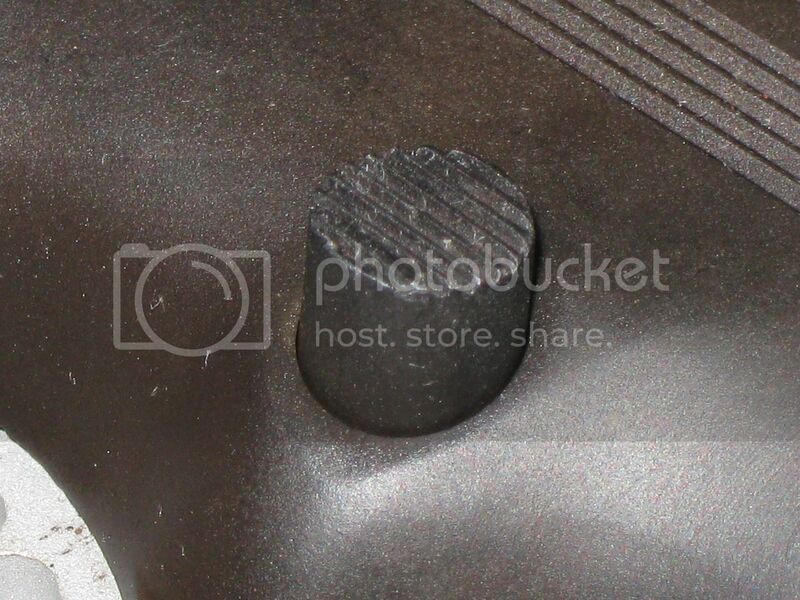 Also, the right side of the magazine catch is not flat, but rounded to blend in where the grip frame is radiused toward the trigger window. While it is possible that aftermarket triggers for Para USA pistols might also fit the Fatboy (we didn’t try, so this is conjecture), the magazine catch is definitely unique and completely proprietary. 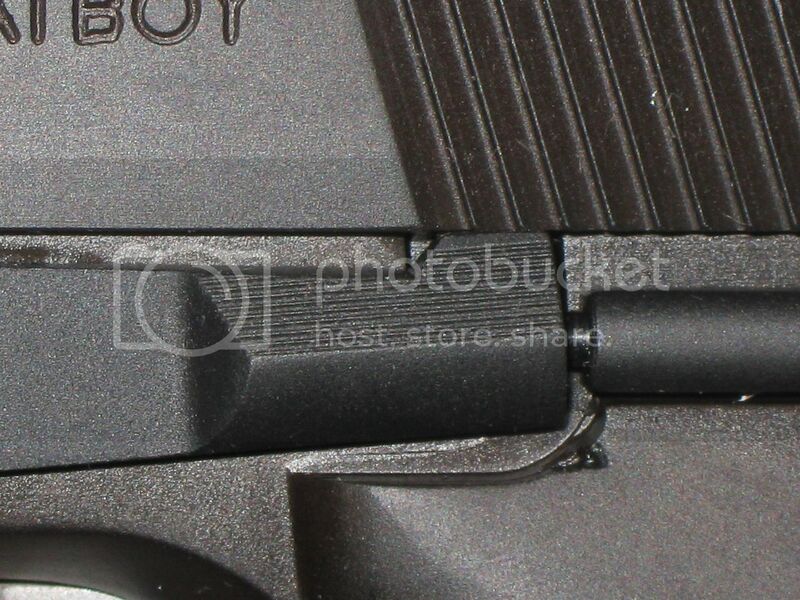 Beyond that, as with all double stack 1911s there are two slots at the back of the frame where the trigger bow gets inserted that need to be filled or covered. Para takes care of this with “ears” on the grip panels to fill the slots. In another unique approach, the ATI Fatboy has the “ears” incorporated into the grip safety rather than the grip panels (which, of course, don’t exist). The Fatboy does not utilize a firing pin safety, as can be seen by looking at the underside of the slide. As is largely industry standard for short-barreled 1911s, recoil is handled by a dual-spring recoil assembly riding on a thin, full-length guide rod. Field stripping requires a bit of manipulation to keep the recoil assembly under control while removing the slide and barrel from the receiver; there is no “paper clip” –like retainer to capture the spring in the compressed position while field stripping. Even so, taking the pistol down is straightforward and easy to accomplish. Putting it back together is a touch more difficult, and a third hand would certainly have been useful. 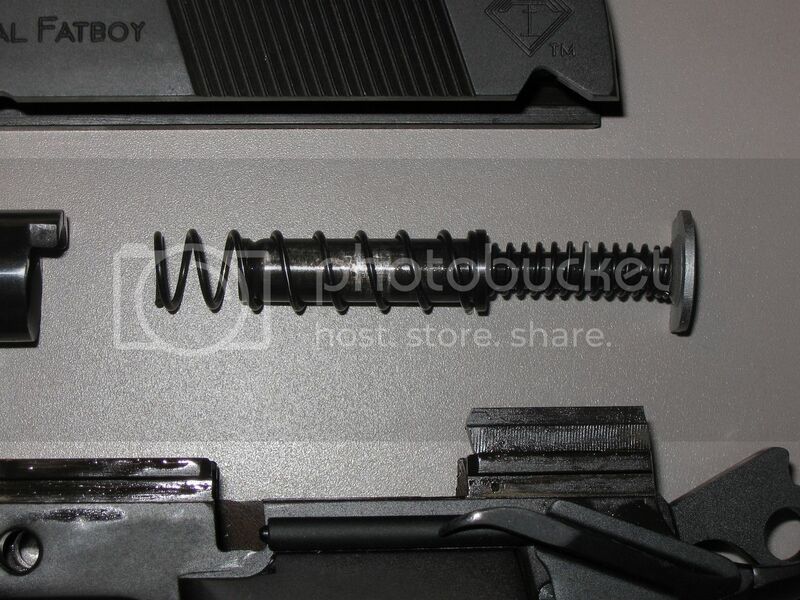 As with most short 1911s using a dual-spring recoil assembly, the recoil spring plug is a reverse plug and requires that the plug and recoil assembly be installed before the slide and barrel are mounted onto the receiver. 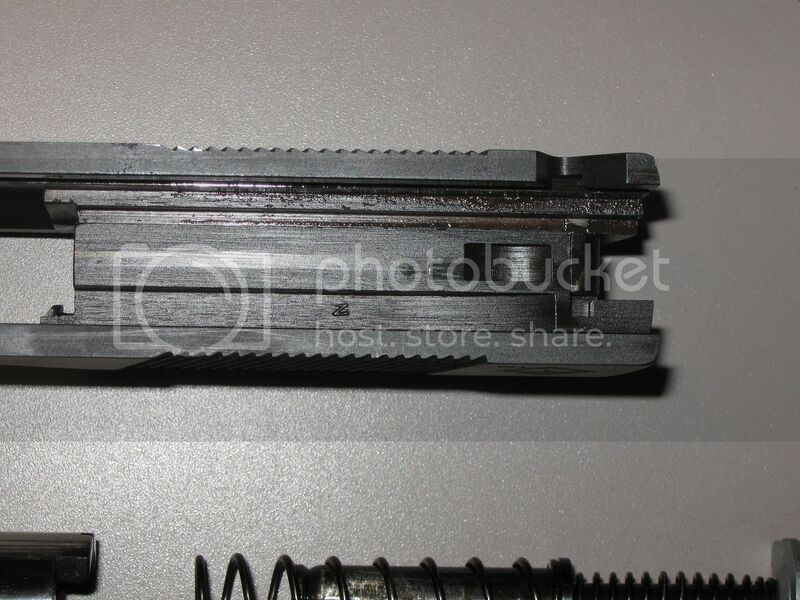 This, in turn, means that unless there is a retainer of some type to hold the spring compressed, the operator has to fight against the recoil springs to retract the slide and install the slide stop. This is difficult enough with a single stack pistol. With the Fatboy, we found that the double-width magazine well and grip simply did not allow installing the slide stop in the traditional way, i.e. starting with the lug below the plunger and pressing upward and in simultaneously. 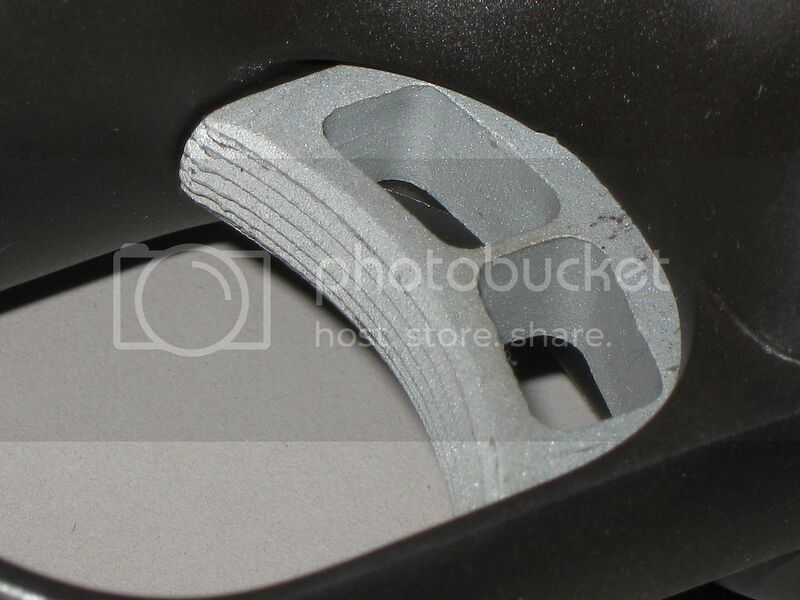 In order to clear the double stack grip, the slide stop has to be pressed straight in, and to do that requires depressing the plunger with some sort of tool. It became easier after the third session of field stripping the pistol, but there was a bit of a learning curve. We found the magazine that was provided with the pistol to be a bit of an anomaly. ATI advertises the Fatboy as having a capacity of 12 rounds. 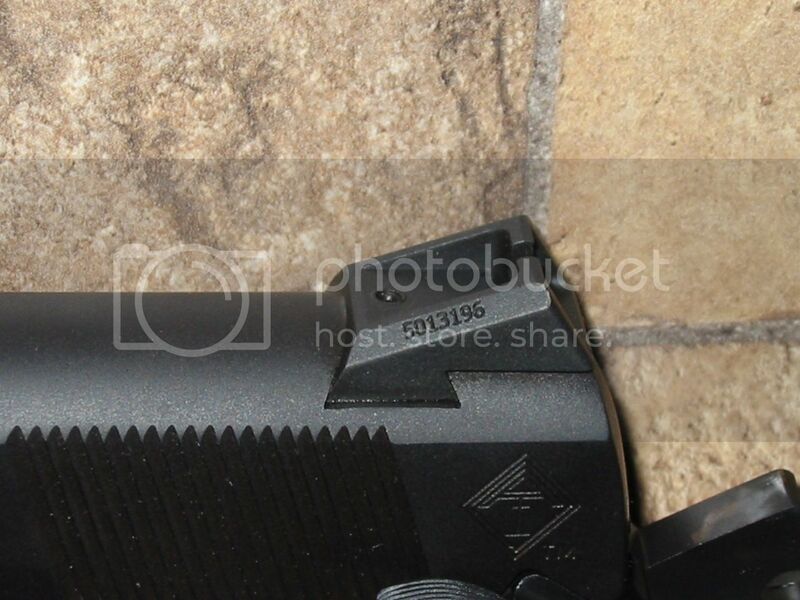 What appears to be the same pistol, but with a different designation, appears on the Shooters Arms web site listed with a capacity of 10 rounds. The magazine itself is stamped on one side “P14-45” but on the opposite side it is stamped “12 rds.” After juggling samples from a collection of Para-Ordnance magazines, we found that, in fact, the body of the Fatboy’s magazine doesn’t match either a Para P12.45 or a P14.45, but matches perfectly with a P13.45 magazine. Clearly, whoever makes these magazines for S.A.M. doesn’t know their product, or simply wasn’t paying attention. 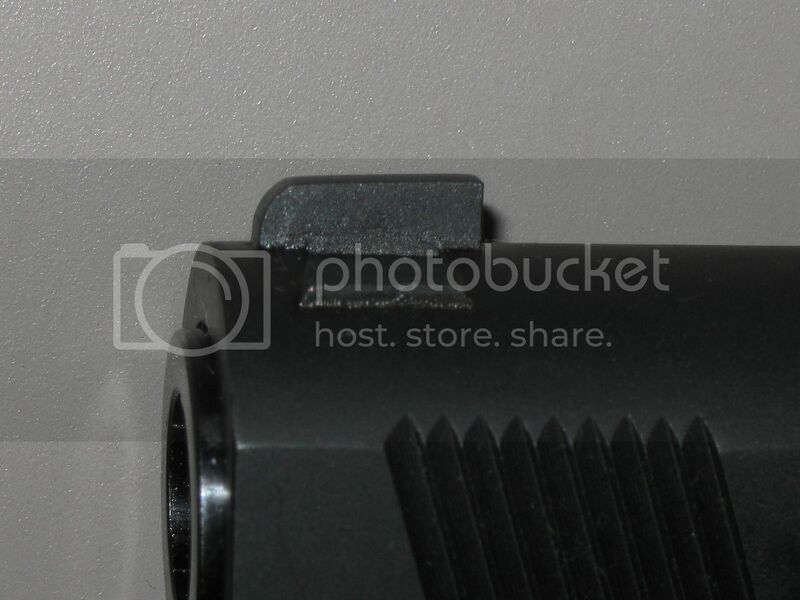 The rear sight is a wedge-shaped “combat” sight with a setscrew for windage adjustment. The front sight is dovetailed into the slide. The front sight has a single, white dot, while the rear sight is all black and features an easy to pick up square notch. As interesting as the Fatboy is, what ultimately matters is how it shoots. With a 3.2-inch barrel, the Fatboy is primarily a defensive pistol, and a bad guy isn’t going to be impressed by the uniqueness of your sidearm. The only thing that counts when the need arises to resort to the use of a firearm to defend yourself or your family is whether or not your gun will put the bullets where you want them to go. In keeping with our standard M1911.ORG protocol, because the Fatboy is a defensive pistol with a barrel shorter than 4¼ inches (Commander-length, in other words), we conducted our accuracy tests at a distance of 25 feet. It is generally accepted that nearly all self-defense shootings are at a distance of 21 feet or less, so testing a defensive handgun for accuracy at 25 feet provides a representative evaluation of how it might perform in a real world situation, without unfairly penalizing the pistol by trying to shoot at 25 yards over a short sight radius. We ran six different types of ammunition through the Fatboy, firing multiple five-shot groups with each type. After discarding the worst shot from each group, we measured the group size for the best four out of each five shots. The table below reflects the best group for each type of ammunition, and also the average of the best three groups. 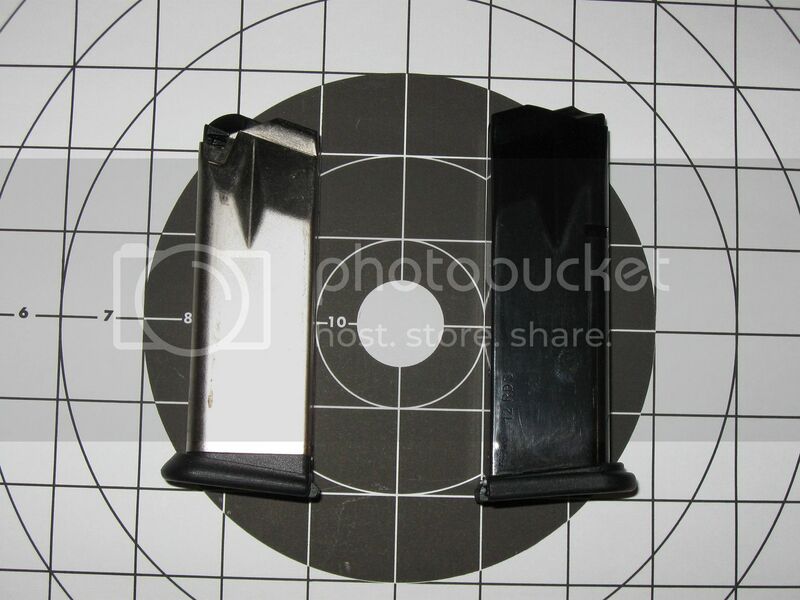 As the range portion of our evaluation progressed, we began to encounter failures to feed (typically trying to feed the first round from a full magazine) and occasional failures to return to battery. Our test pistol came with only one magazine, so we didn’t have a spare to try. We did have a Para-Ordnance P13.45 magazine in the range bag and we attempted to use that in the hope of determining if the stoppages were magazine-related, but the one Para magazine we brought was perhaps a bit on the fat side (or the magazine well was a bit on the thin side), and inserting the Para magazine into the pistol was more or less a press fit situation. Other Para magazines had slipped right into the pistol, so it was certainly a case of Murphy’s Law that the one we had when we wanted to actually use it wouldn’t fit. One thing we noticed, particularly later in the range session as the pistol got dirtier, was that the slide seemed to run exceptionally slowly. We had noticed at the outset of our shooting that the slide of the Fatboy seemed to rack a lot easier than would be expected for a short-barreled 1911. The Fatboy uses a dual-spring recoil assembly, so even if we had had our recoil spring tester available (which we didn’t), it would not have allowed us to measure the spring strength. Our best guess is that it’s a fairly light recoil spring assembly, and that the Fatboy will be a pistol that likes to run wet and needs to be kept fairly clean. Our biggest complaint, though, was the trigger pull. We liked the fact that the vertically-serrated face of the trigger is also rounded; it’s much more comfortable than a trigger whose face is straight across, with sharp corners. But the trigger pull weight was very heavy – so heavy, in fact, that it was off the scale on our 8-pound RCBS analog trigger pull scale. That meant a trip home to delve into the specialty tool area to find the revolver trigger scale, which measures pulls up to 25 pounds. With that, we found that the trigger pull was not only very heavy, but also inconsistent. We recorded pull weights ranging from a high of 10 pounds to a low of 8¼ pounds. The average for five pulls was a hefty 9 pounds. In addition, the trigger was slightly gritty and had some creep after initial take-up. Not only was this detrimental to accuracy, we also found that by the end of the accuracy portion of the range testing (which encompassed almost 150 rounds) the pad of the trigger finger was so sore that it actually hurt to pull the trigger. The Fatboy does not use a firing pin safety, so improving the trigger pull and cleaning up the creep and grittiness should be very easy to accomplish, but we hope that S.A.M. will ship future examples with the trigger pull set at a more usable weight, perhaps somewhere between 5 and 6 pounds. Overall, we were impressed with the Fatboy. Although we have been aware of Shooters Arms Manufacturing and their 1911 pistols for a number of years, this was our first exposure to one “up close and personal.” We found the pistol to be exactly what the manufacturer’s reputation and philosophy would lead us to expect: a very well-made, utilitarian pistol. The unique configuration simply adds interest to the otherwise solid but unexciting platform. This pistol isn’t a “barbeque” gun, it doesn’t have gold-plated fire control parts, and it doesn’t make any claims to be the tightest 1911 ever to come down the pike. Yet the interior of the pistol is absolutely pristine, without a stray machine mark or evidence of chattering anywhere to be seen. Considering the short sight radius and the bushingless barrel setup, we consider the accuracy to be entirely acceptable. As discussed above, our primary issue with our test pistol was the trigger pull. We have no doubt that it can easily be cleaned up and adjusted to within reasonable limits, so we would not consider the trigger to be a “deal breaker.” Nonetheless, we hope that Shooters Arms manufacturing will do a better job on the triggers of other guns they ship. One final consideration, especially since the Fatboy appears to be intended primarily as a carry pistol, is holster selection. The 3.2-inch barrel length is not a “standard” 1911 size. 3-inches is a “standard,” 3½-inches is a “standard,” but … 3.2 inches? We are not aware of any other 1911 style pistol with a 3.2-inch barrel. This means that none of the “name” holster makers are likely to offer a holster that would be a perfect fit for the Fatboy. Holsters cut and molded for 3-inch pistols such as the Colt Defender will be too short, so the most viable option will have to be holsters made to fit the Colt Officers ACP (and similar pistols with 3½-inch barrels). 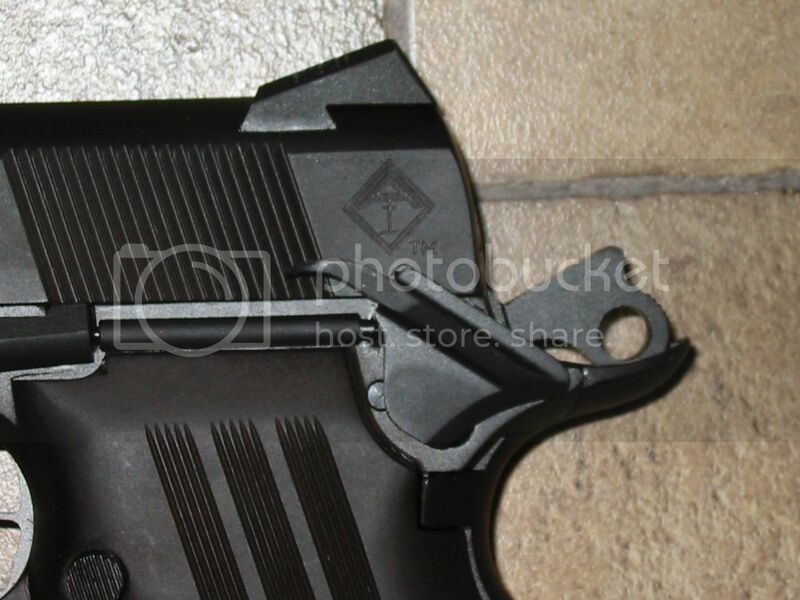 These holsters will leave a quarter of an inch of extra space beyond the muzzle, but that small amount probably is not likely to result in the nose of the holster being crushed through use and wear. First, of course, we are grateful to American Tactical Imports (ATI) for offering us the opportunity to review this unique and interesting pistol. ATI seems to gravitate toward firearms that offer something just a little different from the mainstream, and the Fatboy compact, doublestack 1911 is no exception. Some of the ammunition used in the course of our testing was graciously provided to M1911.ORG by Lucky Gunner, Inc., and by Dakota Ammunition (makers of Cor-Bon and Glaser products). Thank you both for helping make these tests possible. 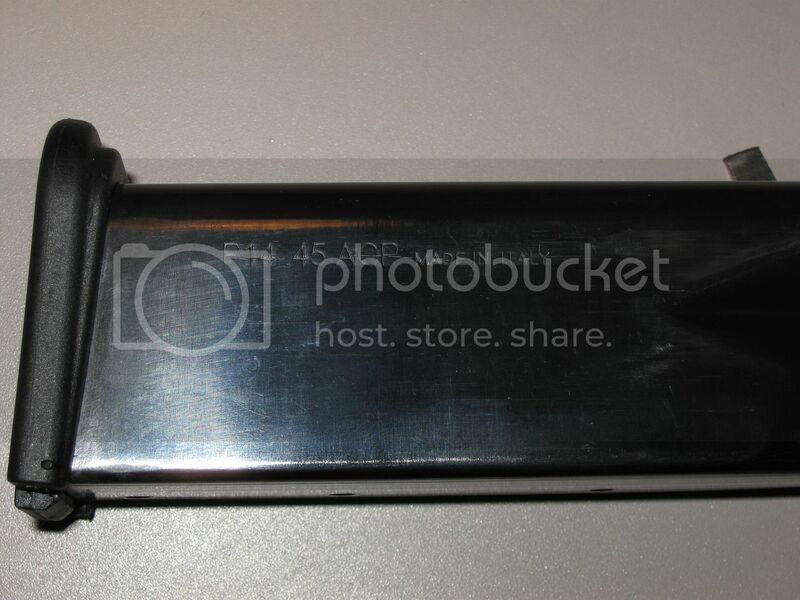 You may discuss this pistol and this review in our Forums Site here.